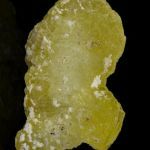 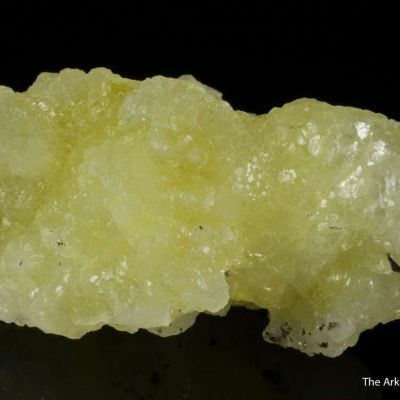 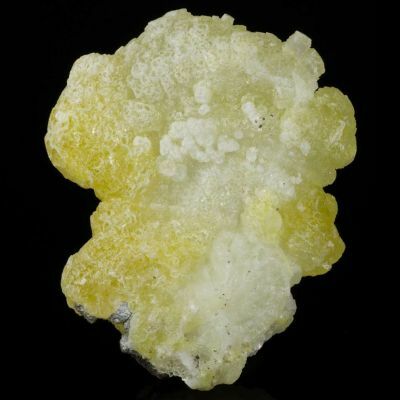 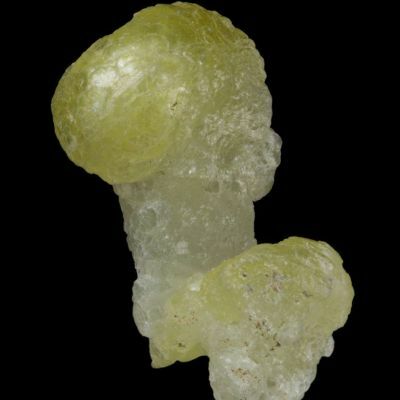 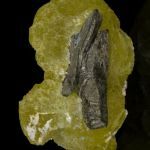 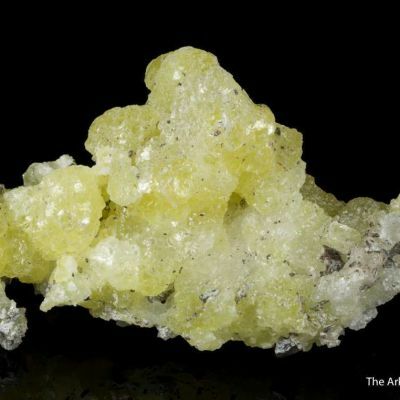 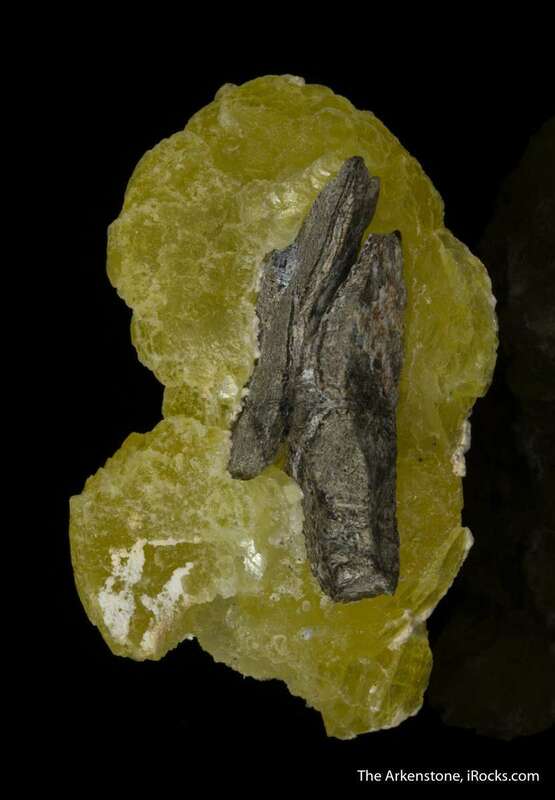 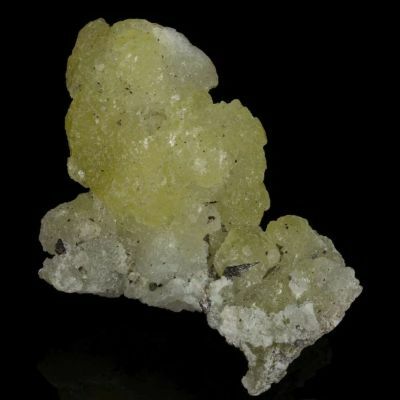 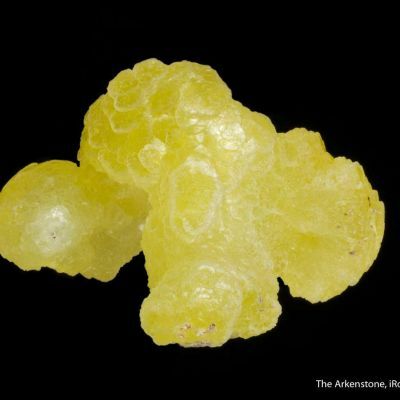 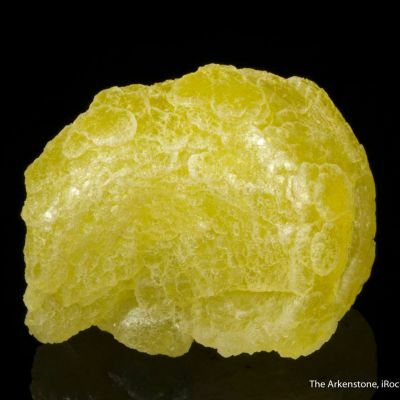 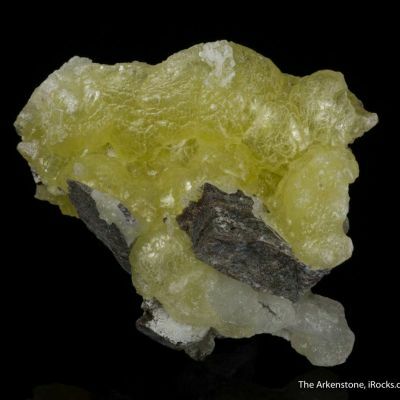 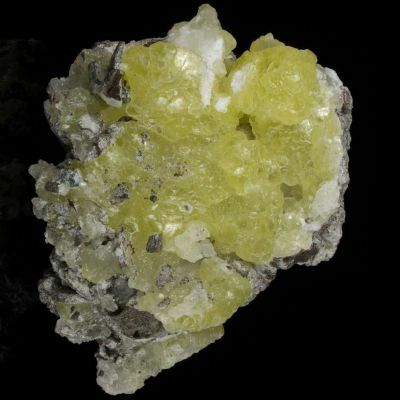 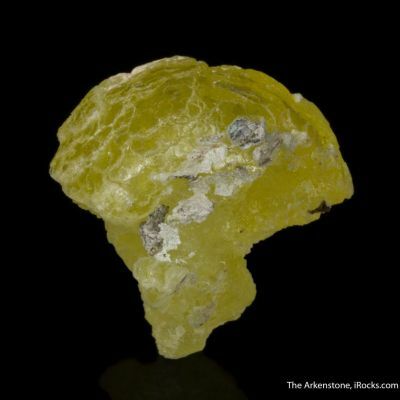 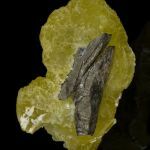 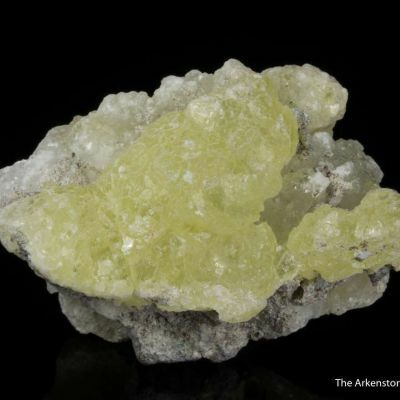 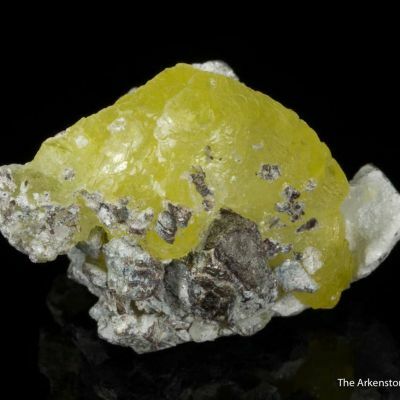 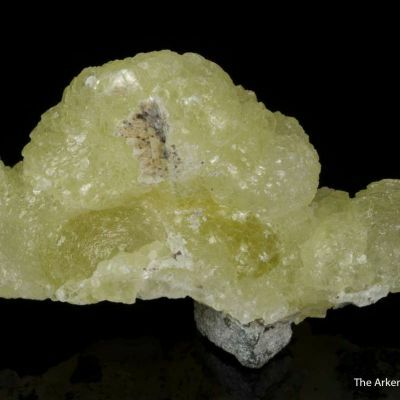 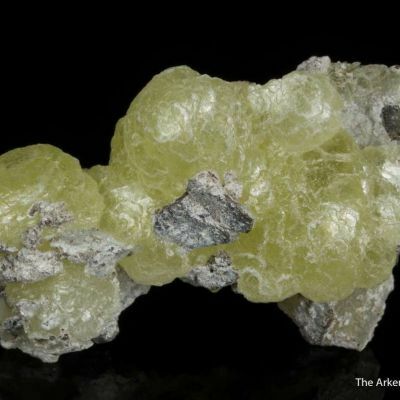 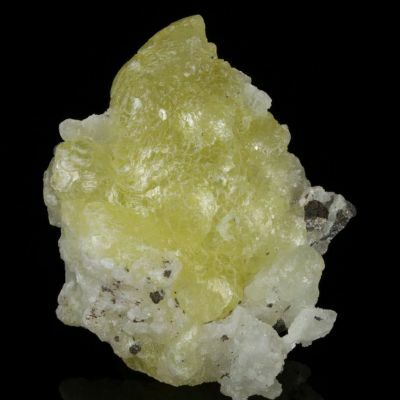 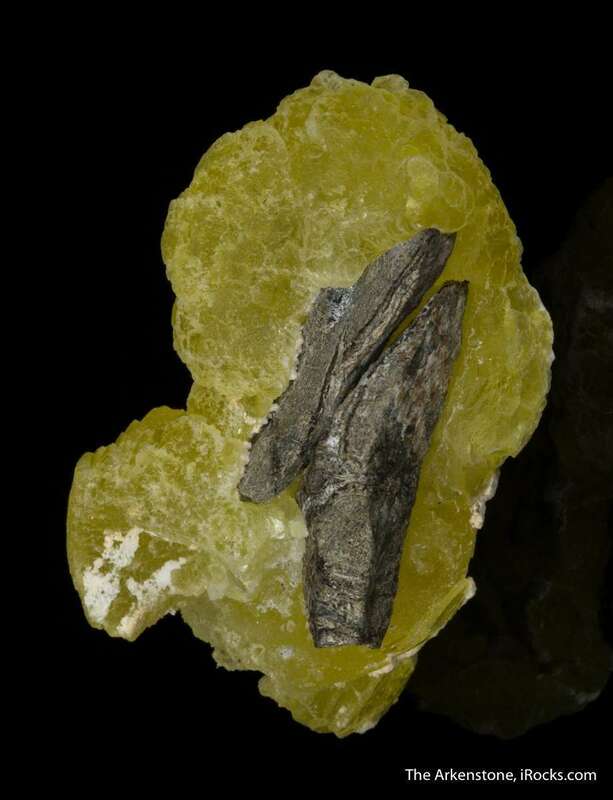 A large, composite, bright yellow crystal of brucite is attached to and actually seems to be wrapped around a sliver of matrix included within. 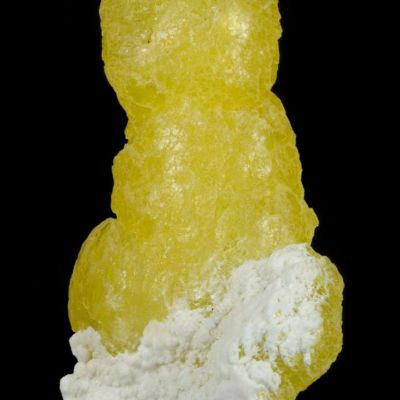 It is complete all around! 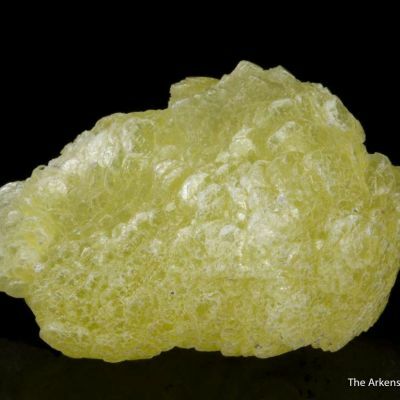 Part of the crystal is lustrous and translucent, especially at the edges. 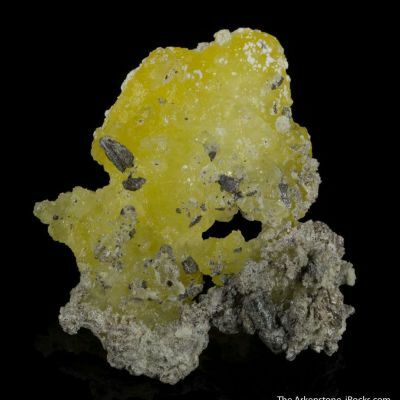 This seems to be a floater, complete all around! 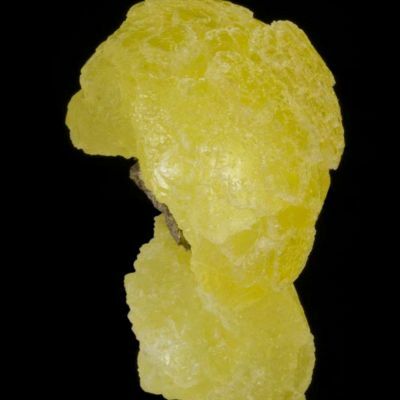 If in isolation from the pocket and quantity here, I'd value it much higher as a rarity for the species. 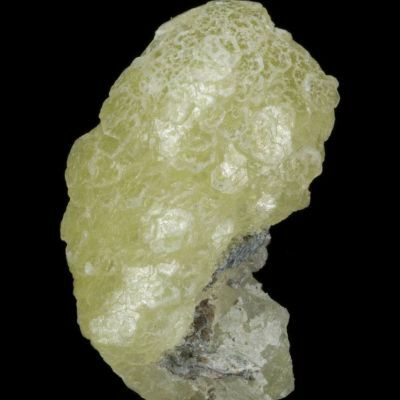 But within the context of this surprising and large find, even so, it still merits special consideration. 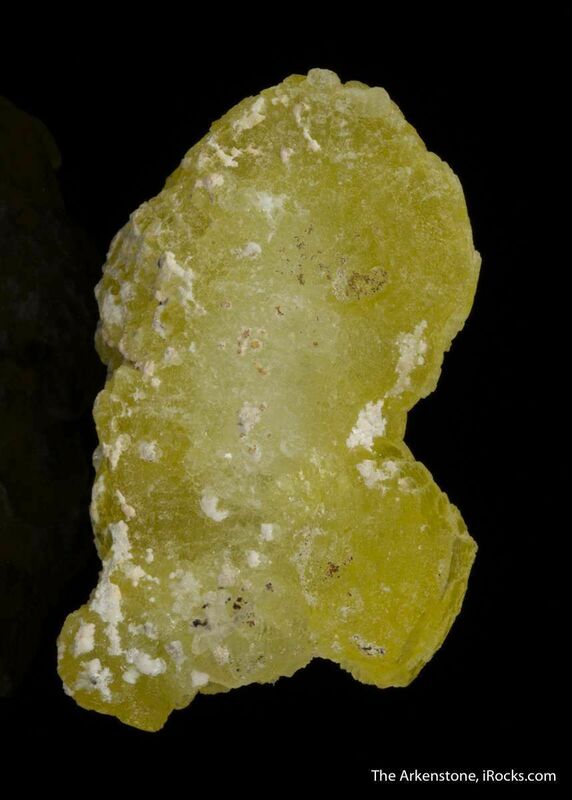 exceptional color.